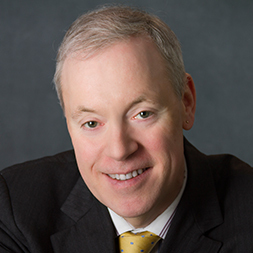 Doug MacFadden is the director of informatics technology at the Center for Biomedical Informatics at Harvard Medical School, is deputy director of the Biomedical Informatics Program, and chief informatics officer for Harvard Catalyst | The Harvard Clinical and Translational Science Center. He is charged with the development and implementation of informatics applications, networks, and platforms across the organizations. He is leading the design and implementation of new and improved clinical research informatics tools for analyzing research data, and is managing clinical trials and the application of Semantic Web technologies for search and discovery. MacFadden is responsible for data security and user/patient privacy for all Harvard Catalyst informatics’ systems. He is co-investigator of eagle-i, a consortium of nine member institutions that have built a national research resource discovery network – one that is helping biomedical scientists search for and find previously invisible, but highly valuable, resources. He is also co-investigator of Open-i, an expansion of eagle-i.